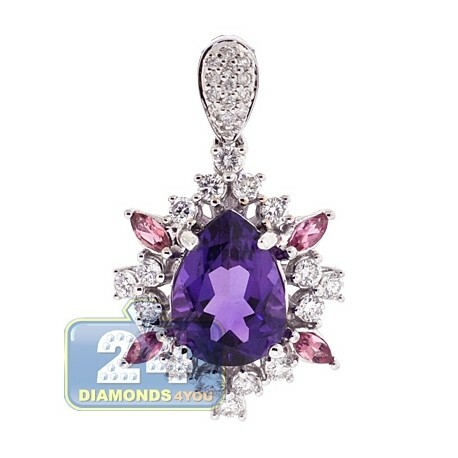 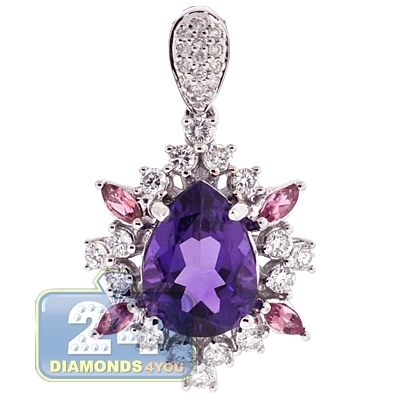 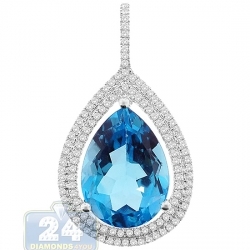 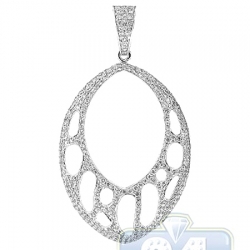 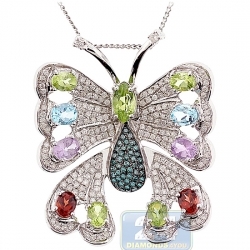 You will feel like a beautiful princess wearing this gemstone drop pendant! 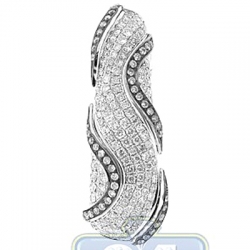 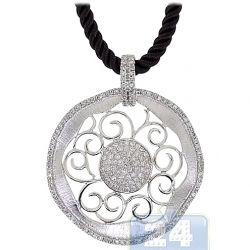 Ably produced from luxurious 18k white gold, it has precisely polished rhodium finish. 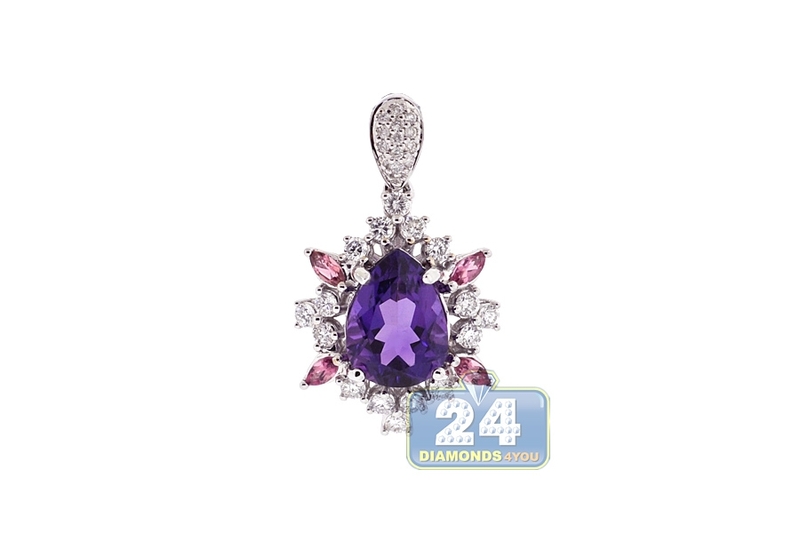 The drop pendant is encrusted genuine pear-cut purple amethyst in the center that is surrounded by lustrous white round brilliant-cut diamonds (0.70 ct) and genuine marquise-cut pink sapphires. 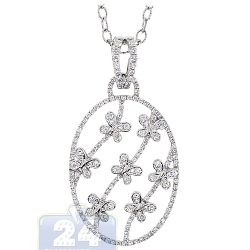 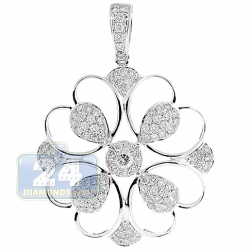 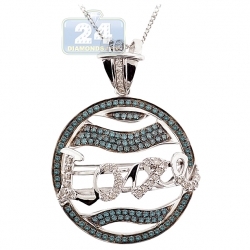 Our women's gemstone pendant measures 29 x 18 mm. 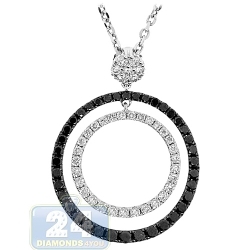 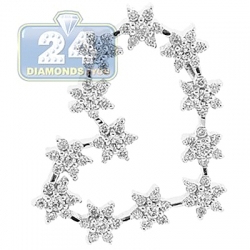 A gorgeous addition to your jewelry collection! This pendant needs to be produced specially for you. 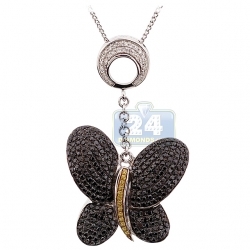 And it's considered a custom order item. 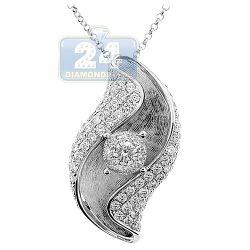 The sale on it would be final: non-refundable & non-returnable. 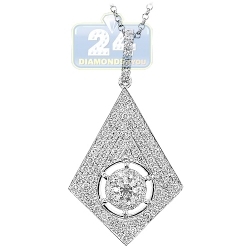 Please note that once the order has been confirmed, it cannot be canceled.